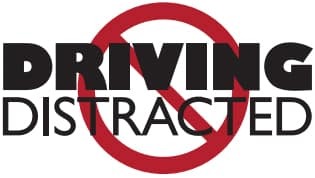 Nearly everyone is guilty of some type of distracted driving. In fact, according to NHTSA, 3,166 people died by distracted driving in 2017. Here's how you can help to keep the roads safer! While driving, your phone should only be used for emergency purposes. Even then, you should pull off to the side of the road to use your cellphone. If you start feeling drowsy, pull off the road! Drowsiness increases the risk of a crash by nearly four times! A government study has shown that 37% of U.S. drivers have dozed off or actually fallen asleep at least once behind the wheel. You should limit the number of passengers, as well as the level of activity inside of the vehicle. Driving with friends in the car can create a dangerous driving environment, because inexperienced drivers tend to focus on their friends, as opposed to the road and their surroundings. Finishing your breakfast on the way to work may seem like a great way to save time, but it means you are being less attentive to the road and the other drivers around you. Food spills are also a major cause of distraction while driving. You spend a lot of time in your car, so it may seem like the perfect place to call friends, search for music, or even send a few quick text messages. You should try to resist these urges in order to have a better focus on the road and other drivers around you. Try to get settled in before you begin driving. The main objective while driving should always be to keep yourself and your passengers safe on the way to your destination! At Competition Subaru of Smithtown, we strive to provide the best for our clients whether you come to visit us to pick out your new car or to get your car serviced. Call or visit us today for any other questions you may have!